Posted September 8, 2017 by Josette Farrell in News. 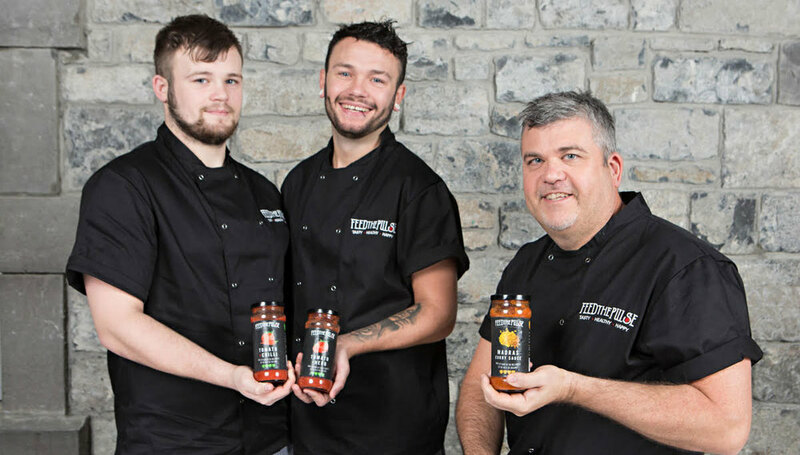 A FAMILY-OWNED food business – located a puck of a ball from Galway’s GAA Centre of Excellence in Loughgeorge – played its part in last weekend’s All-Ireland hurling triumph … by keeping them fueled for success! Indeed Galway captain David Burke even thanked FeedThePulse in his memorable victory speech – much to the delight of husband and wife team Owen and Helen McArdle. 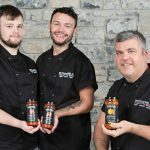 The company, which also boasts the couple’s two chef sons Dan and Glen, provided food throughout 2017 for both the minor and senior hurling squads – strengthening a connection they’ve enjoyed from the formation of the firm. Indeed Head chef Owen with his two chef sons, Glen and Dan, provided the food throughout 2017 for all the Galway GAA county teams – in both hurling and football disciplines at all levels including U-21s, minors and seniors – all of whom have performed strongly this year. The company even owes its name to the Galway hurlers – because inspiration struck when the family were cheering on the Tribesmen against Tipp in the All-Ireland SHC semi-final at Croke Park in 2015. “The atmosphere was electric and the word in the Galway stands was 2 you can almost feelthe pulse’. In the last minute of the game, super sub Shane Moloney scored, putting Galway in the All-Ireland final, and we had our new name FeedThePulse,” said Helen. The McArdles were again at the game on Sunday and could not believe they got a mention in the winning speech. “To get a mention from David is just magic for us; we are so dedicated to providing healthy food for the players but we never expected to be included in the captain’s speech,” said Helen. The company officially started trading in March 2016 – but Owen has over 30 years’ experience as a chef. 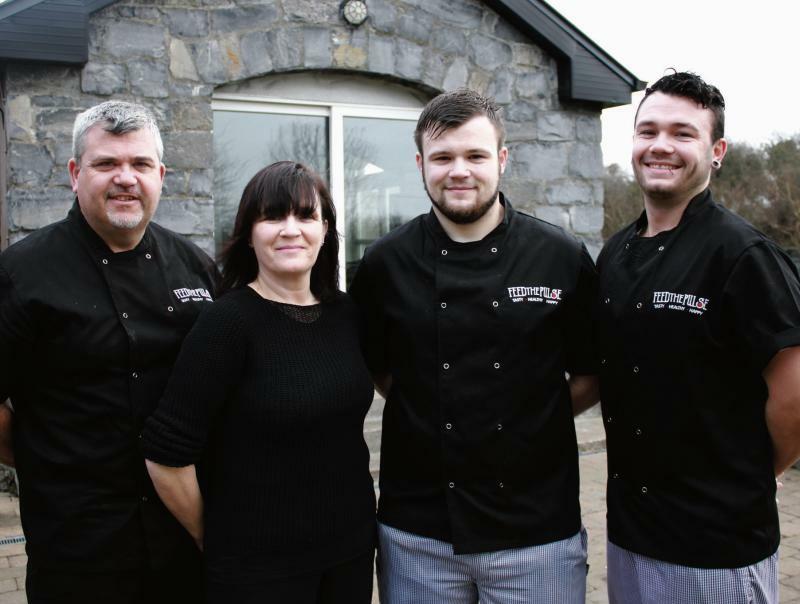 And both Glen and Dan were working as chefs before returning to Galway to get the company off the ground. FeedThePulse have provided a range of meals throughout the year from early breakfasts, packed lunches, pre-and post-training meals and healthy ready meals to take home. “We have the best job in Galway and doing it well means these athletes have one less thing to think about, giving them time to do what they do best,” said Owen. 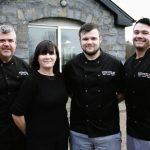 Owen and Helen were already running their own catering business, McArdle Catering, when the idea for FeedThePulse came about. They had already been working closely with the Galway GAA and it made Owen aware of their dedication and commitment. “These athletes will often travel from work or college in other counties to train on dark, wet, cold nights in winter months when everyone else is in by the fire watching telly. They have the same 24 hours we all have and they choose to train for their county,” said Owen McArdle. After a meeting with Croi, a non-profit foundation dedicated to fighting heart disease, they decided to follow a “healthy heart” profile. 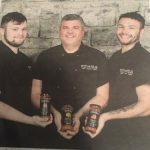 FeedThePulse foods – which also include a range of sauces and freshly-prepared meals – are high in protein, low in salt, sugar, and fat, and a course of fibre. They contain no artificial colours, flavours, or preservatives, and are cooked using slow traditional cooking methods, which allows the natural flavours of the ingredients to be release. Sauces Get The Pulses Racing!